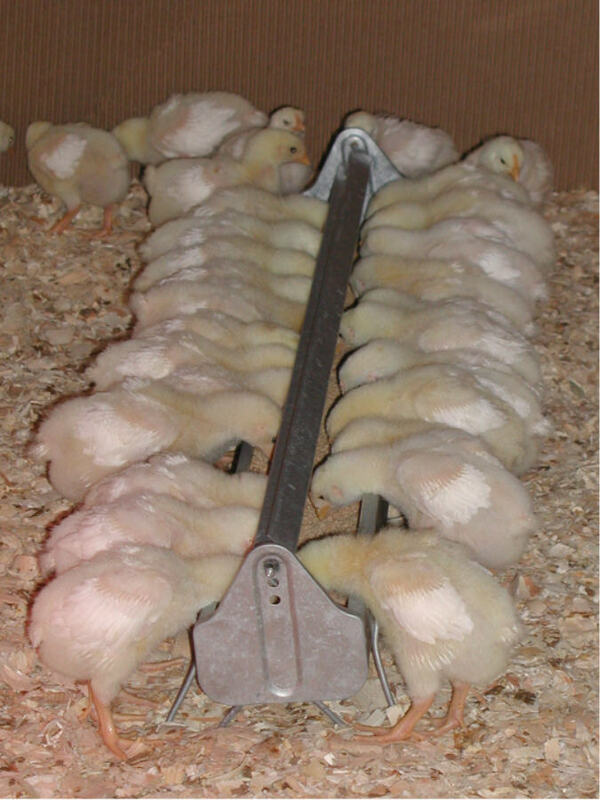 The broiler chicks are 2 weeks old now. They’re newly-sprouted wing feathers shine bright and white against the yellow baby down that still covers their bodies. Another 9 days in my garage, and then they’ll have enough feathers to be put out in the pasture. I hope to put up some current pics of our other breeds of chicks soon. It requires a team effort because they’re much flightier than the broilers. It’s rained off and on the past 3 days, and the temperatures are considerably cooler. Tomorrow night they’re talking 30 degrees for a low, so after work tomorrow we’ll need to cover the delicate new strawberry plants. I love chickens. Why is it chickens provide so much material for writers and photographers? I can’t believe yours line up in such orderly fashion! Mine are piled all over each other when they eat. I guess these are Cornish X?